MAY 29—Parent Heart Watch and the Sudden Cardiac Arrest Foundation have joined forces to urge the public to learn CPR and how to use automated external defibrillators (AEDs) to help save lives threatened by sudden cardiac arrest. 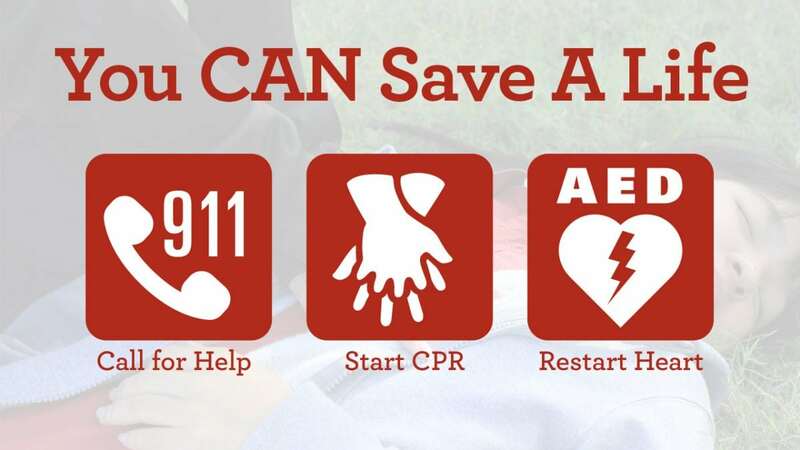 The co-sponsored Call-Push-Shock campaign is being launched to coincide with National CPR and AED Awareness Week June 1-7, a national observance designated by Congress in 2007. Sudden cardiac arrest (SCA) is the third leading cause of death in the U.S. It affects more than 356,000 people each year—including 7,000 youth under age 18—and unfortunately only one in every 10 victims survives. The survival rate has remained at about 10 percent for 30 years because the public is not as prepared as it could be to help save lives. The campaign leverages results of a recent national research study conducted for the Sudden Cardiac Arrest Foundation by global consumer research firm StrataVerve. Findings indicate most Americans are unfamiliar with sudden cardiac arrest and the critical importance of immediate bystander intervention. However, when exposed to a clear description of SCA, the importance of learning CPR and AED skills, and the likelihood to give CPR or use an AED in an emergency jumps significantly. “We learned that two messages show the greatest strength in grabbing attention and motivating the public to act. The realization that ‘Sudden cardiac arrest can happen to a loved one’ and the impact CPR and AEDs have in ‘doubling or tripling the chance of survival’ connect on both emotional and rational levels,” explains Jennifer Chap, co-founder of StrataVerve. The two nonprofits, members of the National Cardiac Arrest Collaborative, urge interested parties to visit Call-Push-Shock to learn more, and to help raise awareness during National CPR and AED Awareness Week June 1-7 by sharing information through their social media channels using the hashtag #CallPushShock.